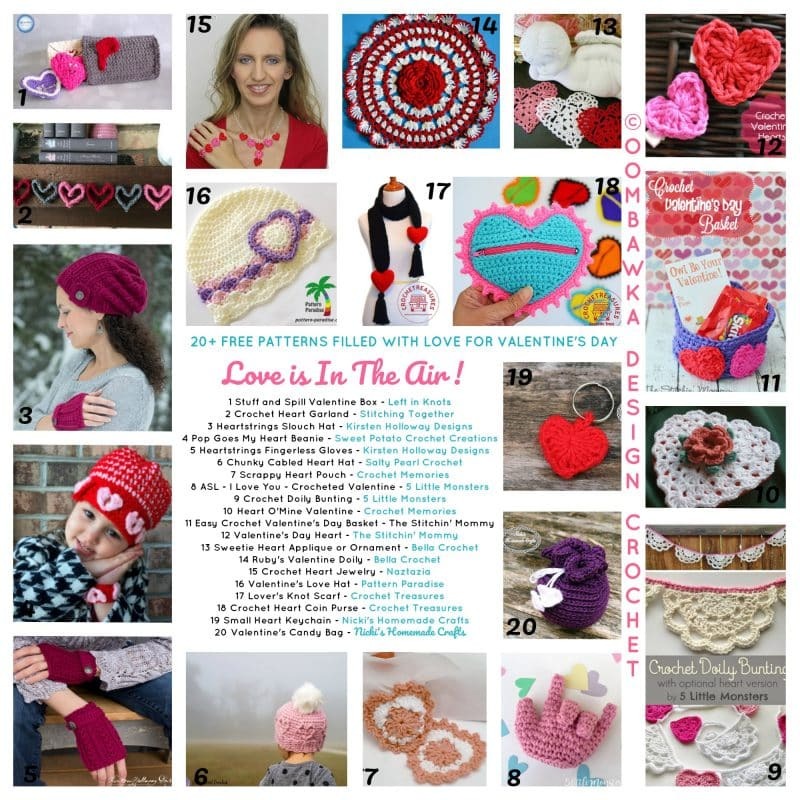 You are here: Home / Free Crochet Patterns / Free Pattern Friday / Love is in the Air! Less than 26 days until Valentine’s Day! The countdown is on! If you were planning on making something handmade for Valentine’s Day you have less than 26 days to pick a pattern and get crocheting! Here are some ideas you can use to make Valentine’s Day special in your own way – with Crochet! I’ve included free patterns for you to make for children and adults – and even something special for yourself to wear on the most love-filled day of the year! Whether you enjoy a beautiful, romantic day with your significant other, or you are enveloped in love from family and friends, I wish you a day filled with warmth and happiness. Be sure you scroll to the end of the post for the BONUS Free Valentine’s Day Patterns Too!! You may also be interested in last year’s Valentine’s Day Roundup Post.